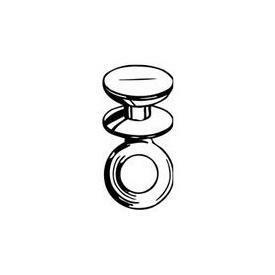 Molded slide for multiple curtain rod, by Kirsch -- BasicQ Inc. Minimum 100 each White finish. For grommeted cubicle curtains or hand draw, pinch pleated draperies. Architrac Series 9046. Slide for 9005, 9003, 9046, 94001, 94003, 94004, 94005 curtain rods. Priced each.